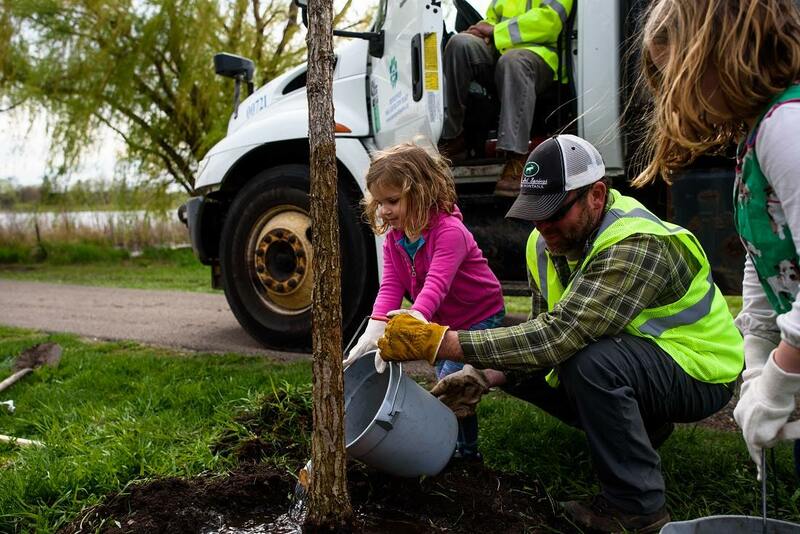 The spectacular springtime celebration is full of tree-themed activities and educational opportunities, music, food, beer and, of course, new trees! Anyone can help MPRB Arborists plant 200 new trees. The event will be held in the area of the park between Wirth Lake Beach and JD Rivers’ Children’s Garden, near the intersection of Glenwood Avenue and Xerxes Avenue. I grew up in Mankato, and I have very fond memories of my childhood there, especially frequent visits to Sibley Park to play on the equipment and see the animals. They have seriously revamped the area since I was a kid, though! 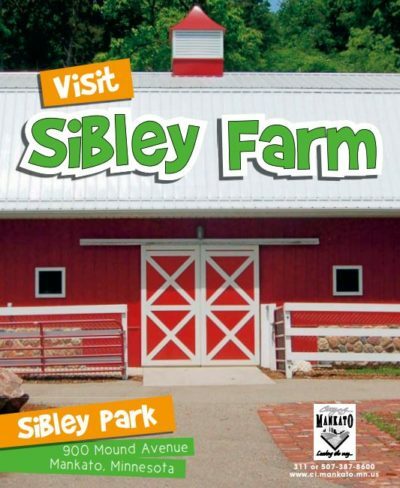 Now you can visit Sibley Farm (inside Sibley Park) and walk through red barn-style buildings to view farm animals. You can also play on the farm-themed playground equipment at the park. 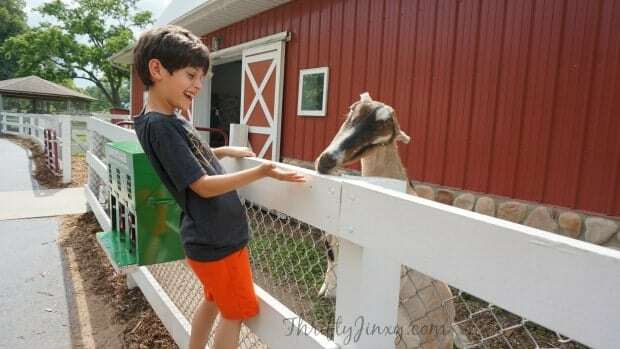 According to Explore Minnesota, Sibley Farm is set to open April 16th, 2019 for the season. (Even if it doesn’t open that specific date, I’m sure it will be open very soon.) 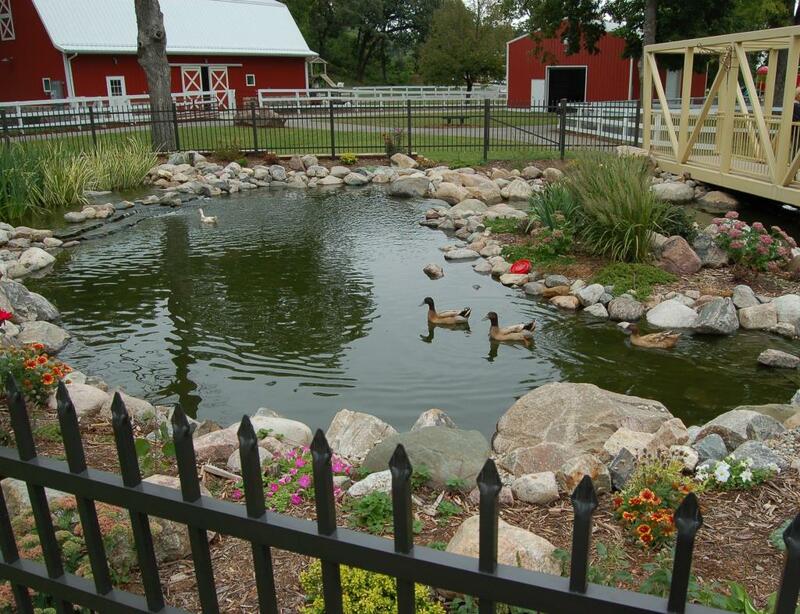 You’ll be able to see alpacas, calves, goats, peacocks, horses, lambs, and chicks, as well as koi fish in the pond. 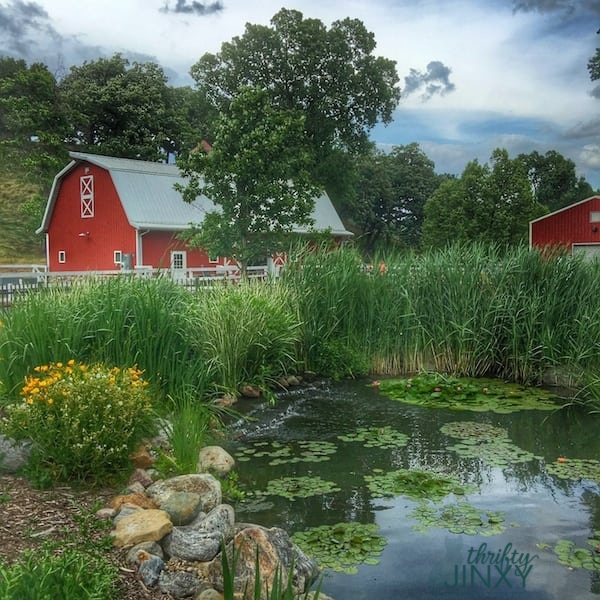 Sibley Farm is open daily from 6:30 am – 10:30 pm in mid-spring, summer, and early fall. Sibley Park is a dynamic community park that is rich in history. The park, established in established in 1887, is named for Minnesota’s first Governor, Henry Hastings Sibley. In the past the park has provided a horse racing track, regional zoo, museum, community band shell, clay tennis courts and renowned gardens. The park offers recreational opportunities on the north side with softball, tennis, fishing and sliding hill. On the south side of the park are extensive landscape and gardens, a story book farm site, open space and picnicking areas. The hill top of the mound is being reclaimed through plantings and controlled burns to an Oak Savanna environment similar to what originally existed. 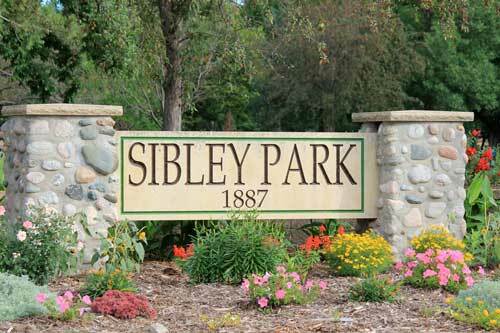 Sibley Park is suitable for organized sports, large group gatherings, amplified music and reserved use. The picnic shelters are popular for family reunions, business meetings, company picnics and large group gatherings. The gazebo and gardens are favorites for outdoor weddings and photography sessions. Many of these areas can be reserved. Also at Sibley Park are the pond, the CHS Pergola, the Sibley Park Pavilion and Sibley Farm. Within Sibley Park are the Sibley HealthBeat outdoor exercise equipment and more than two miles of walking trails available at three levels–easy, moderate or experienced. Sibley Park is located at 900 Mound Avenue in Mankato. 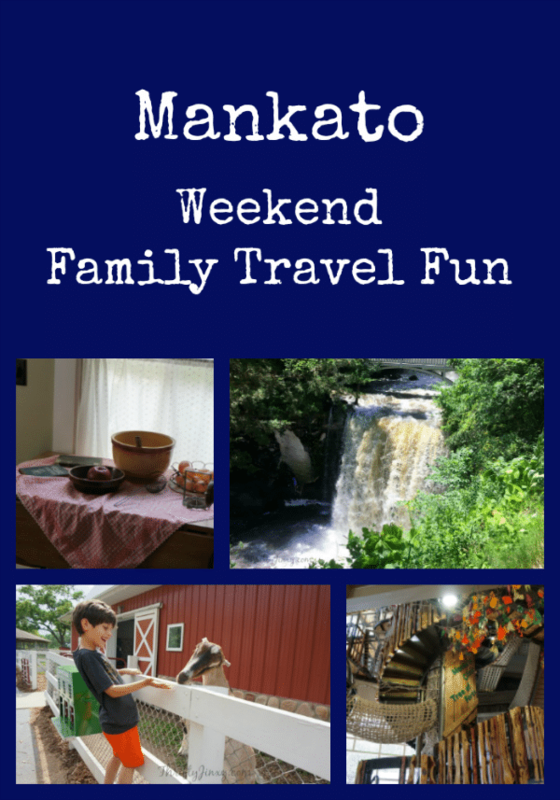 You can read more about Sibley Park in our post on Thrifty Jinxy about Weekend Family Fun in Mankato. As spring continues, we’re starting to see and hear more and more beautiful birds outside. There are few things that say “spring” more than birds chirping! 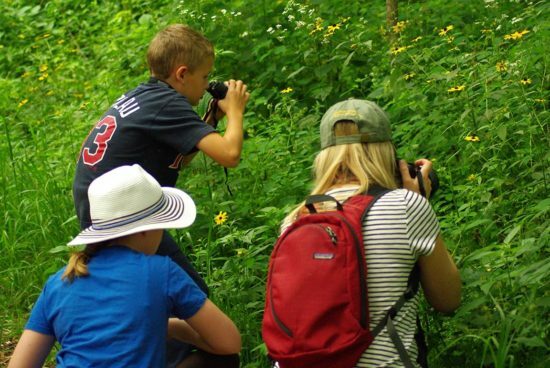 Every month you can join Zumbro Valley Audubon (ZVAS) for a free Monthly Bird Walk at Quarry Hill Nature Center. The next bird walk is happening this Saturday, April 6th at 9 am. Bring binoculars if you have them, otherwise some are available to borrow from the nature center. Dress for the weather and stay for any length of time (the walks usually last about one hour). No registration is required. Is your favorite golf course open for the season? Some have opened, while others are waiting to make sure the snow is officially gone. If you happen to be like our neighbor, swinging the clubs in his driveway and waiting for the course to open, we have good news for you. Golfing opens up for the season at Three Rivers Park District and they have four different locations to choose from. Are you looking for something to do this weekend? We found a great free event. 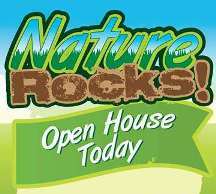 Each Saturday morning from 10 am – 12 pm, the Outdoor Nature Center in Eden Prairie hosts an open house. Enjoy free family friendly activities such as hiking, hands-on interactions with live animals, craft projects and more! 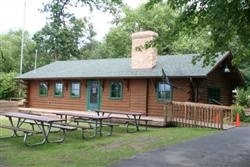 The Eden Prairie Outdoor Center is a refurbished cabin located on the north shore of Staring Lake at 13765 Staring Lake Parkway. A wide range of classes, workshops, trips and activities in outdoor recreation and environmental education are offered. Every Saturday from 10 – 12 pm. Yeah, I know…it’s only March, but it’s never too early to be thinking about your summer plans! One frugal option for Minnesotans is the popular I Can! series of outdoor skill-building programs from Minnesota State Parks and Trails. You can now register for these beginner-level programs, all of which are either free or very reasonably priced. Instruction and essential equipment will be provided. A vehicle permit is required to enter all Minnesota state parks ($7/day or $35/year), but this permit is included in the cost of some of these programs. Be sure to sign up ASAP if you’re interested as these classes typically fill up quickly. Head to the MN DNR website to get started! One of our neighbors is always on his skateboard, he loves that thing. I tried it once and failed miserably, could have been my age or just lack of balance or both. Do you or your kids love to skateboard? 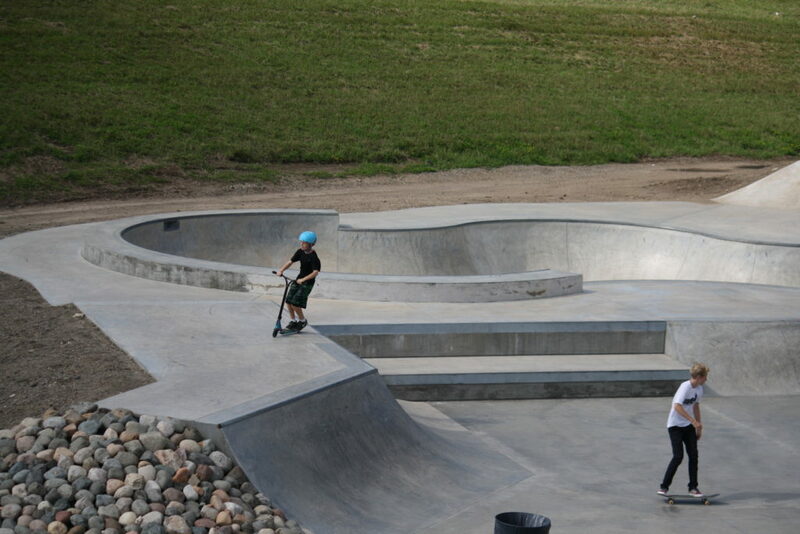 Check out the Burnsville Lions Skate Park. It’s totally free which is always nice, however you do need to bring your own skateboard or scooter. I especially love places like this because it means kids are outdoors and off of their phones and screens! 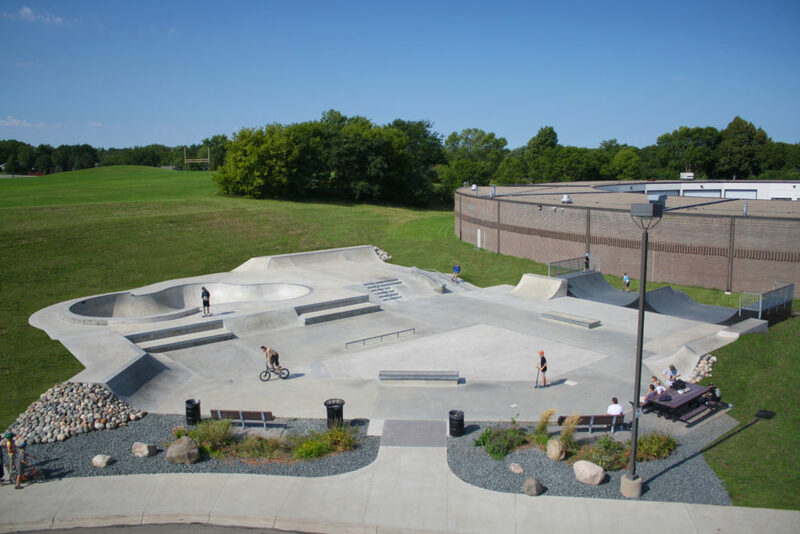 The Burnsville Lions Skate Park, located in Civic Center Park between 130th and 134th streets on Civic Center Parkway. A 11,500 square foot outdoor facility for inline skates, skateboards, scooters and bikes. Access to the park is free and open to the general public. The facility is NOT supervised. Use at your own risk. Know your abilities. 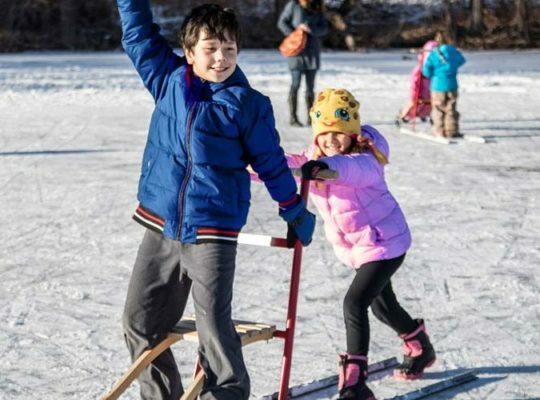 There is an upside to all of the snow we’ve been getting…thanks to the best snow conditions in recent memory, Three Rivers is hosting Free Play Snow Day on Saturday, March 16th. Recreation passes and equipment rentals will be FREE all day for cross-country skiing, snowshoeing, sledding, kicksledding and more! Bush Lake Ski Jumps at Hyland Lake Park Reserve – Free ski jumping lessons 10 AM-noon. No previous experience required! Boots and skis provided. Free day passes for all dog off-leash areas! Next weekend is the start of maple syrup events at the MN State Parks, beginning March 9th and continuing until April 14th. There will be workshops, family events, demonstrations, and more, all with a maple syrup theme. Check out the full schedule here on their website. Hopefully you can find an event close by or take a road trip on a nice spring day. 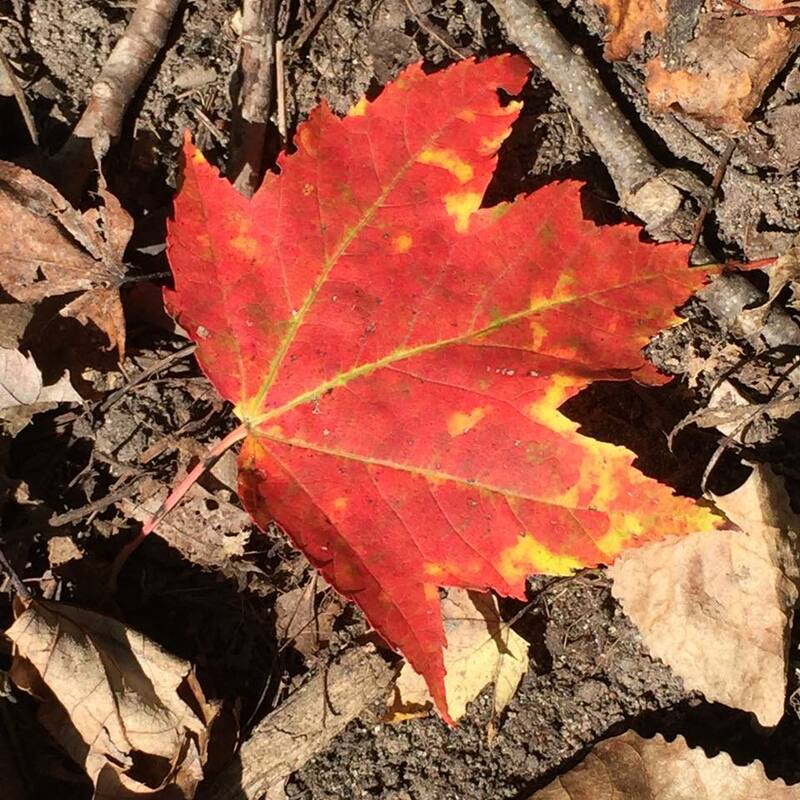 It’s quite a process to get delicious maple syrup from the tree to your table each spring. Come to a maple syruping event and check it out for yourself. You’ll enjoy some hands-on experience, and we know you’ll enjoy your sample of the fresh syrup! When does the sap run? 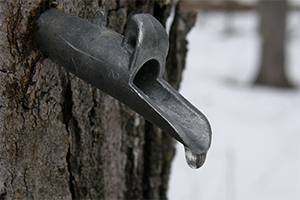 Maple sap runs best when daytime temperatures are in the high 30s to mid-40s and overnight temperatures are below freezing. This cycle of above-freezing days and below-freezing nights needs to continue for several days, although nature occasionally has been known to provide a good run under less perfect conditions. Sometimes sap flows as early as January or as late as May, but in Minnesota, sap usually runs from about March 15 to April 20.